Herbal Essences Naked Cleansing Conditioner DUPE?????? To my displeasure and dismay, the Herbal Essences Naked Cleansing Conditioner has been discontinued. I used this cleansing conditioner faithfully (for years) and it had replaced my traditional shampoo/conditioner for my curly hair. This cleansing conditioner was not only gentle on my delicate strands but it hugged my scalp with its' soothing/calming goodness due to the rosemary, menthol, and peppermint oil that was in it. Unfortunately, I didn't stock up on it and have been on the hunt for a better alternative since that time. Well, I have found it's twin (minus all the soothing scalp properties). It's called Pantene Pro-V Radiant Color Shine Cleansing Conditioner. 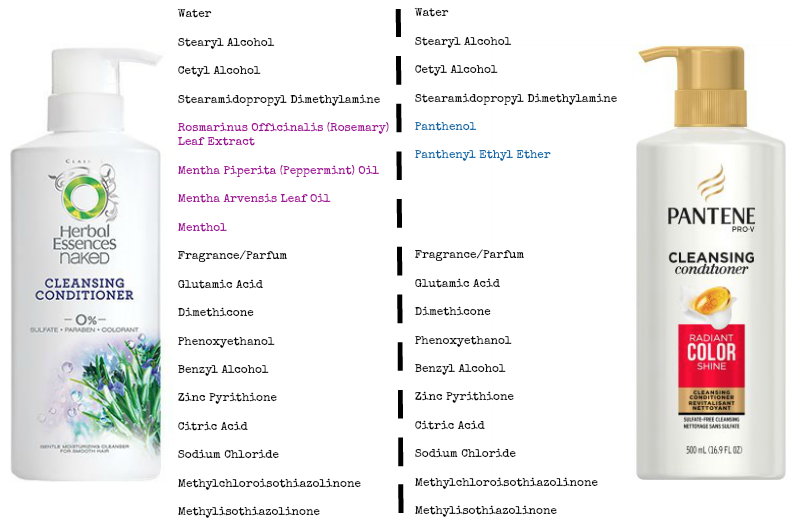 Let's dive into how these products compare and differ shall we? 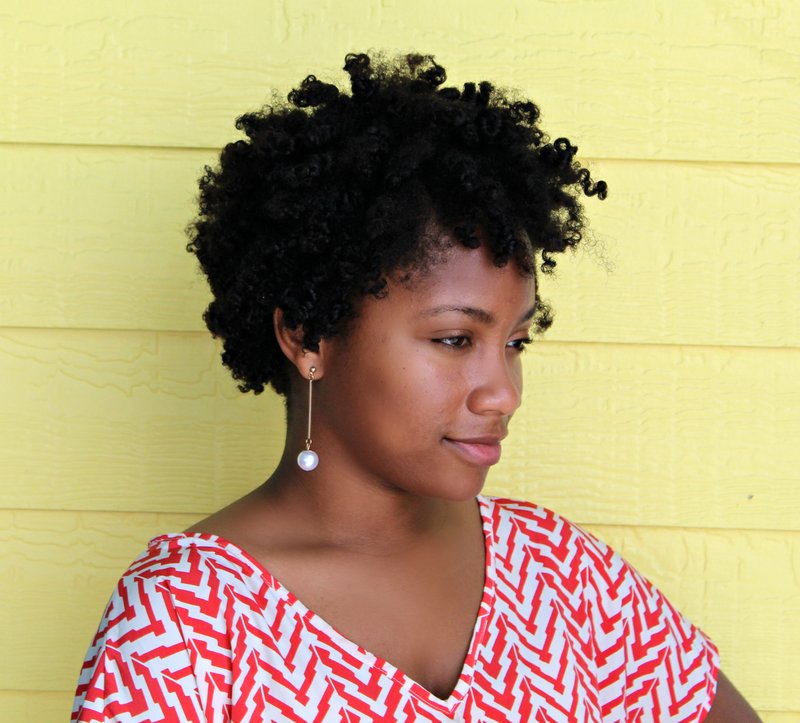 Rosemary, Peppermint, and Menthol have all been linked to having soothing scalp properties when used in hair products. I can honestly say, since I started used the Herbal Essences Cleansing Conditioner, I haven't had a problem with itchy scalp/dandruff no matter what the weather was like. 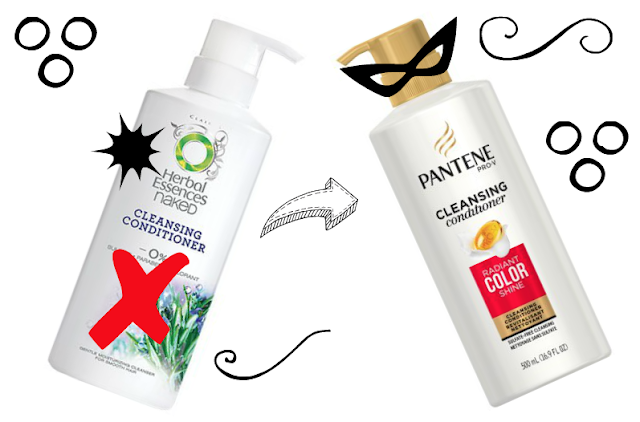 The fact that the Pantene Pro - V Radiant Color Shine Cleansing Conditioner is lacking the soothing properties of the Herbal Essences Naked Cleansing Conditioner is no deal breaker for me. If I want to sooth my itchy scalp, I can add rosemary and peppermint oil to my Pantene Cleansing Conditioner. However, the Pantene Pro-V Radiant Color Shine Cleansing Conditioner does have Panthenol and Panthenyl Ethyl Ether which are moisturizing agents associated with the vitamin B5. This is actually a plus for this conditioner as far as moisture is concerned. I recently found a really great scalp soothing conditioner at TJ-Maxx called Avalon Organics Scalp Treatment Tea Tree Conditioner. It has menthol, rosemary, peppermint, eucalyptus, tea tree oil, and camomile (which are all scalp soothing). I can simply use that conditioner on my scalp to make a 'faux' Herbal Essences Naked Cleansing Conditioner and apply the Pantene Pro-V Radiant Shine Cleansing Conditioner to my strands. This Avalon Conditioner is all natural with organic ingredients, no GMOs, parabens, harsh preservatives, synthetic colors/fragrances, pathalates, sodium lauryl/laureth sulfates, or animal testing. I used it in the last Wash Day I posted HERE. Hopefully, this gives my hair friends, who were just as bummed as I was, a better alternative as far as cleansing conditioners are concerned. I hope you try it out soon.